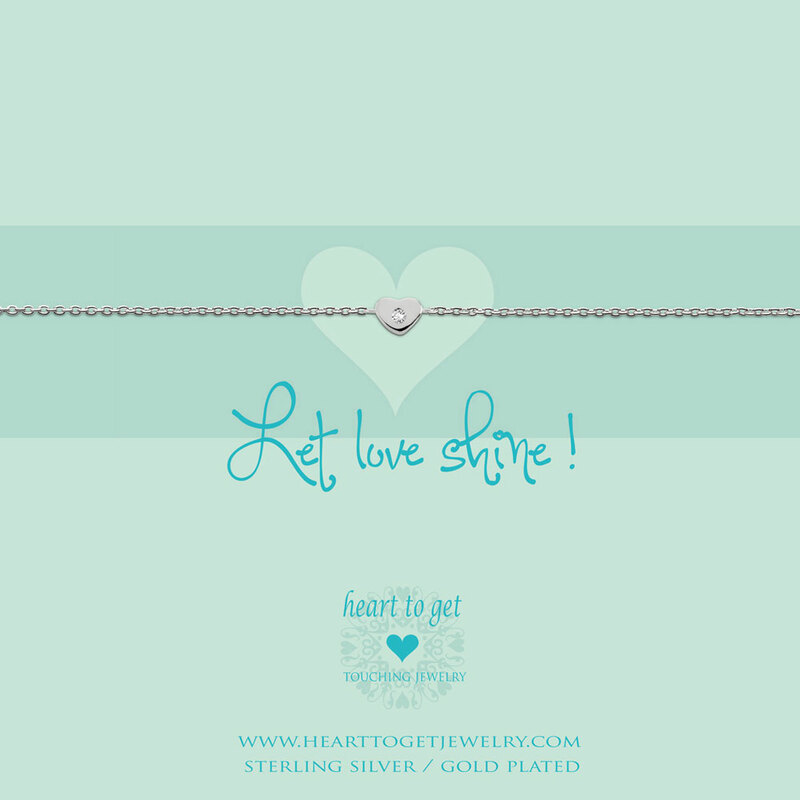 Bracelet heart zirkon wears the message ‘Let love shine!’. Length of the bracelet: 16 cm + 2 cm extension. Available in silver, gold plated or rose plated with a zirkonia stone.